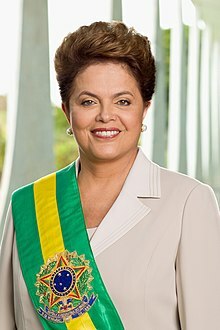 Dilma Vana Rousseff (born Belo Horizonte, 14 December, 1947) is a Brazilian politeecian. She haes been the kintra's preses frae 2011 tae 2016. This page wis last eeditit on 10 Mairch 2018, at 18:04.